Many consumers consider selling or buying a home directly, but eventually turn to REALTORS® to help with the transaction—after all, a real estate transaction involves one of the biggest financial investments most people experience in their lifetime. In fact, 70 percent of the general public agree that real estate professionals make buying or selling a home much easier, according to an independent survey of the general public released by the National Association of REALTORS®. 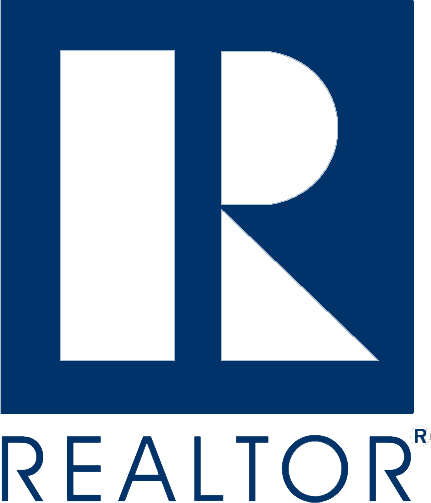 REALTORS® are committed to treat all parties to a transaction honestly and are trained and experienced to offer a qualified and objective voice throughout the process. Additionally, REALTORS® subscribe to a strict code of ethics and are expected to maintain a higher level of knowledge through continuing education classes and training. There is a lot of information about real estate available in today’s newspapers and on the internet. Sometimes these sources offer conflicting information and it’s easy to become overwhelmed. Having a REALTOR® who can help you navigate the sometimes confusing process can save you time, money, and trouble. Your REALTOR® can help you determine your buying power. If you give a REALTOR® some basic information about your available savings, income and current debt, he or she can refer you to lenders best qualified to help you. Most lenders—banks and mortgage companies—offer limited choices. Your REALTOR® has many resources to assist you in your home search. Sometimes the property you are seeking is available but not actively advertised in the market and may require some investigation by your agent. Your REALTOR® can provide objective information about each property. REALTORS® have access to a variety of informational resources, including that on utilities, zoning, schools, resale value, etc. Your REALTOR® can help close the sale of your home. Ask friends, neighbors, relatives and co-workers who’ve recently bought or sold homes in your area. Which company and agent did they work with? What kind of service did they receive? Would they work with the same agent again? Check out FOR SALE signs in your area and note which ones have SOLD stickers on them. You want to be sure you’re choosing a company and REALTOR® who gets the job done. Attend open houses in your area. At open houses, you can watch agents in action, judge their sales expertise and collect information on properties that are competing with yours. A top-notch agent will provide a fact sheet about the property and will be prepared with information on similar properties and listings for the entire area. Look for companies that specialize in the kind of real estate you want to buy or sell. If you’re purchasing a new home, for example, you’ll want to look for a company that specializes in residential real estate rather than commercial property or appraisals. Target REALTORS® located on your side of town. If an agent lives in the area, he or she is far more likely to have more information about area schools, businesses and places of worship. Narrow your search to five or fewer. Once you’ve narrowed your search, you’re ready to start making contacts and can begin interviewing agents. Find out whether the agent is a member of a professional association. The titles REALTOR® and REALTOR-ASSOCIATE® designate membership in a local board of REALTORS®, a state association such as the Utah Association of REALTORS® and the National Association of REALTORS®. Members are required to follow a strict code of ethics and are encouraged to pursue continuing real estate education. During each listing presentation, the agent will try to sell you on listing your house with his company. That provides you with an ideal opportunity to rate his or her preparation, competence and professionalism as well as the company’s services. Look for an agent who shows enthusiasm and a positive attitude toward your house. That isn’t necessarily the person who talks fastest or longest. It may be the agent who asks a lot of questions and takes notes on decorating, construction, landscaping and personal property that will remain with the house. The decision about whether to choose an experienced or inexperienced agent is a personal one. A licensed but inexperienced agent can do a fine job if he or she has completed an in-depth training program and is being guided by an experienced agent or broker. Sometimes a rookie’s enthusiasm and motivation outweigh a lack of experience. Some sellers, on the other hand, prefer working with a veteran REALTOR® who has established a successful sales record.